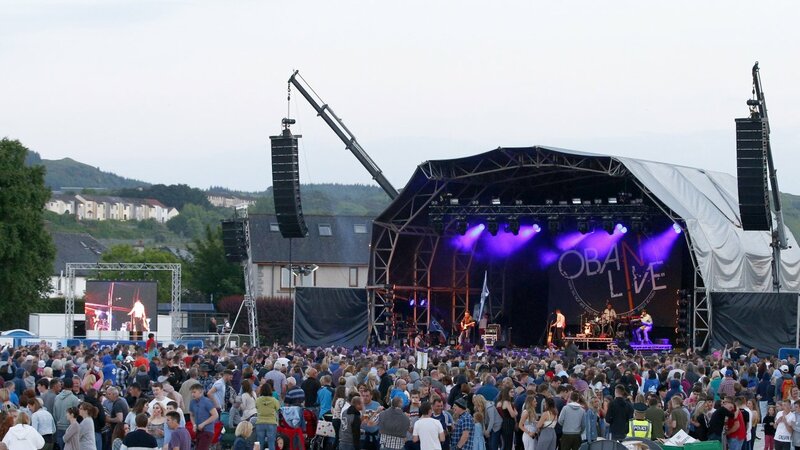 Oban Live, Argyll’s biggest outdoor live music event, injected over £1.4million to the local economy this year, according to a recent economic impact survey. The positive figure shows a 3% rise in impact from last year, bringing significant investment for the town over a non-holiday weekend. The 2018 event, in its third year running, was hailed a success, entertaining just over 8,000 attendees with a 7% increase in ticket sales compared to last year. Thousands flocked to Oban’s Mossfield Stadium, which is transformed into a stadium-sized concert arena for the event, to catch a mixture of highly acclaimed trad, pop and rock stars including Skerryvore, Skipinnish, Tide Lines, Hermitage Green and Peatbog Faeries. The event has been shortlisted for Best Cultural Event at this year’s Highland and Islands Tourism Awards in November. Winners from each category at the awards ceremony will automatically be put forward as a regional finalist in the National Scottish Thistle Awards scheme. A rise in visitors from elsewhere in Scotland shows that visitors are increasingly travelling to Oban for Oban Live from further afield. 63% were visiting the event from outwith the local area. 99% of survey respondents said they were in the area as a direct result of the event. 8% were visiting Oban for the first time. More than 18% stayed for four or more nights. Visitors each spent on average £333 on accommodation, food and drink whilst in Oban, with spend in the town at its highest in bars, restaurants and cafes. A Fringe Partner programme was introduced for the Oban Live 2018 event which encouraged local businesses to hold an event or special offer over the weekend. The 2018 Fringe Programme, in association with BID4Oban and The Oban Times, was packed with live music events across the town before and after Oban Live and special offers included money off tourist activities, meals and shop items. Plans for the 2019 event, which takes place at Mossfield Stadium on June 7 & 8, have begun and ticket announcements are expected to be made in the coming weeks.